Providing the highest quality automotive, heavy duty truck & industrial heat transfer service to all of Illinois and beyond since 1934! While we specialize in cooling system and A/C system repair and maintenance, we don’t stop there. We work on all makes and models, including semi trucks and service brakes, suspension, ignition systems and more. We stock hundreds of parts including heavy duty radiators, charge air coolers, turbo chargers, air conditioning & heating parts, diesel particulate filters, fuel tanks and more. APPLICATION LOOKUP IS PROVIDED FOR CONVENIENCE. PARTS FOUND VIA APPLICATION LOOKUP SHOULD BE VERIFIED FOR ACCURACY. Looking for parts? We stock cooling system components, A/C parts and more for all your vehicles and equipment. 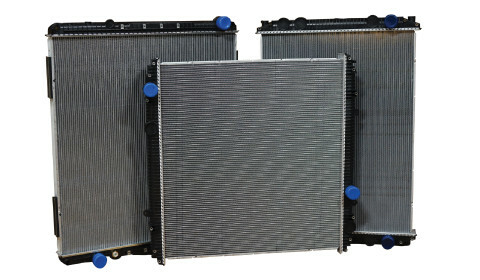 Maas Radiator offers new original equipment and aftermarket radiators. 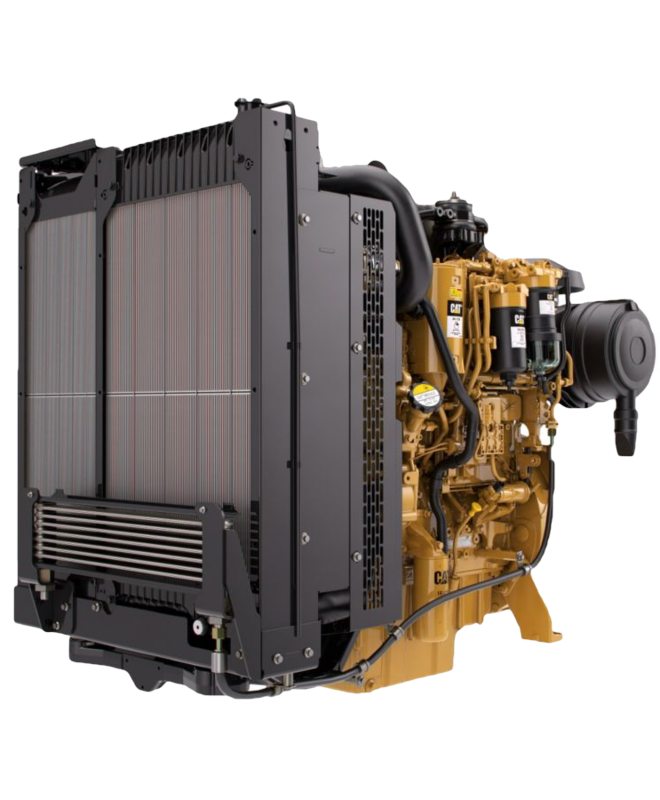 We have an extensive selection of copper/brass and plastic/aluminum complete radiators for your car, semi, ag tractor or construction equipment. All or our parts are backed by a no-hassle warranty. Maas Radiator offers a complete line of heavy duty charge air coolers that fit all the popular trucks on the road today. We offer our standard line of charge air coolers backed by an unlimited mileage two-year warranty or a severe-duty bar-and-plate charge air cooler backed by a lifetime warranty. If we are unable to clean your DPF or DOC or you are in search of a new part, we are here to help. 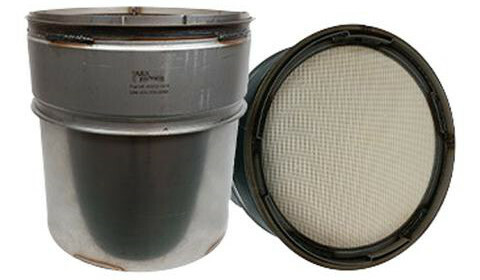 We have a complete line of DPF’s, DOC’s & accessories in stock to serve your needs. Our brand new filters are constructed of high-grade stainless steel canisters and utilize an OEM cordierite insert. Each filter is made to match OEM specs ensuring your truck will operate at peak performance. We stock an extensive line of heavy duty truck radiators & charge air coolers, turbo chargers, air conditioning & heating parts, diesel particulate filters, fuel tanks and more. Our part coverage includes brands like Peterbilt, Kenworth, International, Volvo, Mack, John Deere, Case IH and many more. We are proud to service individual owner-operators and fleet accounts. With over 100 combined years of sales and service expertise, our staff is here to help with any heat exchange needs you may have. 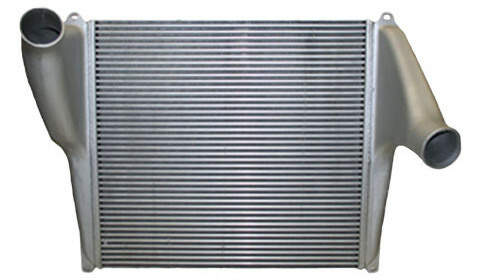 We sell and service heat exchangers of any size including automotive heater cores and 4-core genset radiator units. No job is too small or too large for us! We maintain a full service radiator shop staffed with technicians trained on the latest repair techniques. We are able to repair radiators of all sizes, charge air coolers, A/C condensers, heater cores, oil coolers and any other type of heat exchanger. While we specialize in cooling system and A/C system repair and maintenance, we don’t stop there. We work on all makes and models, including semi trucks and we service brakes, suspension, ignition systems and more. Our proven cleaning process will get your DPF or DOC cleaned right every time and with a turn around time of less than 24 hours, you will be back up and running in no time! We have many options when it comes to restoring your fuel tank. From simply cleaning and de-rusting to our patented chemical bonding coating process we can repair and restore virtually any fuel tank. We specialize in repairing and custom manufacturing air conditioning lines, hydraulic lines and hoses, power steering lines, steel brake lines, pressure washer hoses and air lines. What can Maas Radiator do for my business? All heat exchangers are not the same, making repair and maintenance procedures different for each. MaasRadiator is a NARSA Certified Heavy-Duty Repair Specialist. Our technicians have been trained and tested to perform the techniques necessary to keep your equipment operating at optimum levels. We provide exceptional service and repairs because our technicians work under proven procedures. That means no short cuts and repairs that last! Maas Radiator performs repairs right the first time, saving you downtime and money! We Solve Big Heat Transfer Problems! We keep a small but technically proficient staff in our 70,000 square foot facility, so your radiator is carefully supervised through every step of the process. In any highly technical trade, there is no substitute for experience. At Maas Radiator, we take the lessons we have learned from the past 78 years as Central Illinois’ fastest growing industrial radiator shop and apply them to every work order that comes through our doors. Will it cost more to use Maas Radiator? No. It will actually save you money by helping to keep your fleet and equipment moving. You won’t find a better, more experienced shop. Maas Radiator Will Pick up & Deliver! This saves you time and money! Your workforce can focus on what they do best and we will focus on getting your equipment up and running quickly.